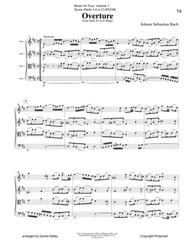 25 Fantastic arrangements for quartet with flexible instrumentation including composers like Bach, Gluck, Faure, Wagner, Mendelssohn and more! Perfect for String Quartet, Wind Quartet, Piano Quartet, Clarinet Quartet, & More! The keyboard/guitar part encompasses parts 2, 3 and 4. Therefore, the arrangements could be played as a piano quartet, or an entire quartet could play with a pianist - as long as Part 1 is being played. Table of ContentsAve Maria, adapted by Gounod (Bach) Jesu, Joy of Man's Desiring (Bach) Suite #3 in D Major - Air, Bourree, Gavotte, Gigue, Overture (Bach) Trumpet Voluntary (Clarke) Berceuse from "Dolly" Suite Op. 56 (Faure) Sicilienne from Pelleas et Melisande, Op. 78 (Faure) Minuet & Dance of the Blessed Spirits from Orpheus (Gluck) Water Music Suite - Air, Allegro, Andante, Hornpipe (Handel) Regrets from Songs Without Words Op. 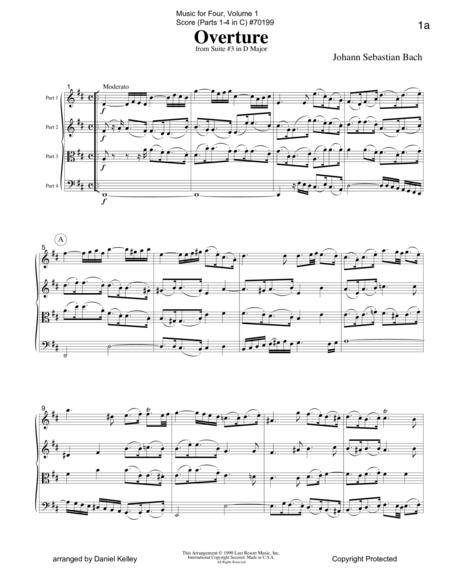 19, #2 (Mendelssohn) Spring-Song from Songs Without Words Op. 62, #6 (Mendelssohn) Andante from Piano Concerto #21, K. 467 (Mozart) Romanza from Eine Kleine Nachtmusik, K. 525 (Mozart) Canon (Pachelbel) Andante from String Quartet "Rosamunde" (Schubert) Danses des petit cygnes from Swan Lake (Tschaikovsky) Theme from Swan Lake (Tschaikovsky) Londonderry Air (Traditional Irish) Bridal Chorus from Act III of Lohengrin (Wagner).